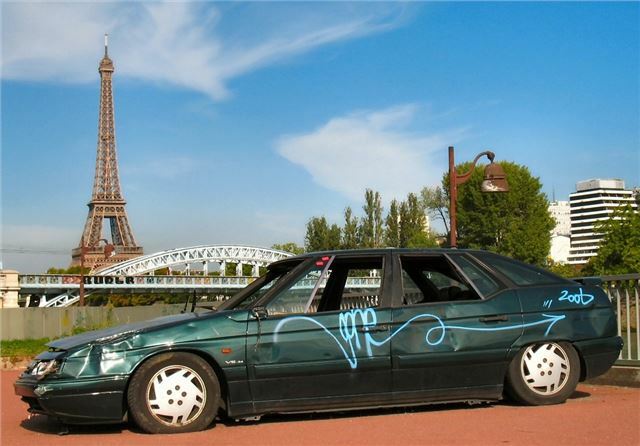 Paris set to ban old cars? Bertrand Delanoë, the mayor of Paris has said that he wants to ban the use of cars and commercial vehicles older than 17 years in the French capital from September 2014. The move, which is being instigated on the grounds of noise and pollution once again puts the issue of classic and old car usage firmly on the political agenda after years of relative calm. The ban would encompass all areas within the A86 autoroute, France's M25. Clearly, this is going to affect the less affluent Parisians more than the wealthy, but the Socialist administration is promising to introduce schemes to assist old car owners get into new ones. Although it's not been spelled out yet, that would likely take the form of another Scrappage scheme - a costly exercise given the state of France's economy right now. The package of anti-vehicle measures also includes toll barriers on cross-city motorways for lorries, and eco-taxes for those using the inner ring-road, or infamous boulevard périphérique. The mayor has said it's part of a 'progressively and in a concerted manner' to ban all lorries from Paris. The next phase in the programme will be turning Paris into a Low Emission Zone by 2015. Although the radical vehicle policy is intended to rid the city of poorly maintained old bangers, no exemption for cherished classics has been spoken of yet. These schemes, which are now in place in Germany and Italy allow certain classic cars into Low Emissions Zones as long as they meet cherished use criteria. What happens to the vintage and classic car owners and markets, if they are no longer permitted within the perifique? This is the big question, and sadly, nothing's been said about addressing these issues. The classic car lobby in France is quite powerful, and I suspect that steps will be made to exempt 'proper' classics from this. Assuming it happens. Au revoir Paris, je serai à la tête de vous à la Principauté. Pity, a lot of great looking old bangers will be lost to no real benefit; they were a diminishing number of attractive old cars not to mention their equally characterful owners. This is another example of a pointless law by a cynical politician on the make. Really, is this going to make a difference to the environment? No of course not - it's a regressive law helping only the rich.